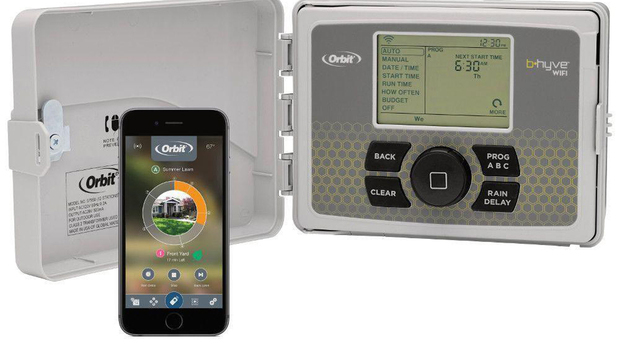 If you’re looking for a relatively traditional sprinkler system with smart features—or vice versa—Orbit’s B-Hyve is a solid choice. The B-hyve doesn’t look like much when you unbox it. A stark contrast to the streamlined designs of modern smart home gear (and other smart sprinkler competitors, like Rachio), the B-hyve looks decidedly industrial, a large and heavy (at nearly four pounds) brick encased in rather homely gray plastic. Pop open the door—which is designed to be outdoor friendly, and even includes a keyed lock—and you have access to an old-school, LCD control panel inside. You can completely control your watering system—setting up to three different programs, or allow manual operation—directly from the panel. In fact, you don’t even need to download the app if you want to keep things Luddite-friendly. You can program the B-hyve without the app, but you won't want to. Wiring the B-hyve is simple. The LCD panel flips out to reveal the electronics. Here, your sprinkler wiring leads connect to the controller not via clumsy spring clips but via tiny recessed screws. These are quite easy to work with and the system comes together quickly (as long as you don’t misplace the included tiny screwdriver). 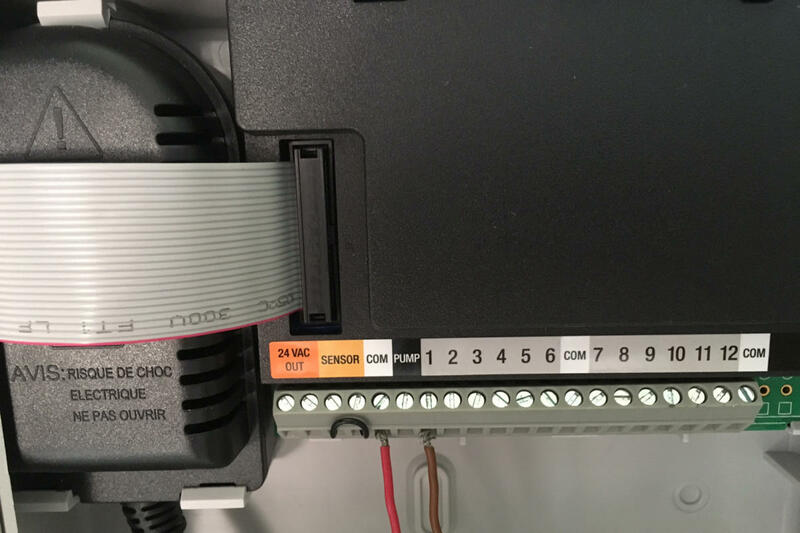 The system reviewed here, model 57950, supports up to 12 zones. A 6-zone version knocks $20 off the price. The B-hyve is, of course, much, much easier to work with (and is much more powerful) if you download the app to your smartphone and interact with it that way. Setup is similar to many Wi-Fi-based smart home devices; you first connect to the B-hyve’s own homegrown Wi-Fi network, then you enter your home network settings to have it switch over to yours. 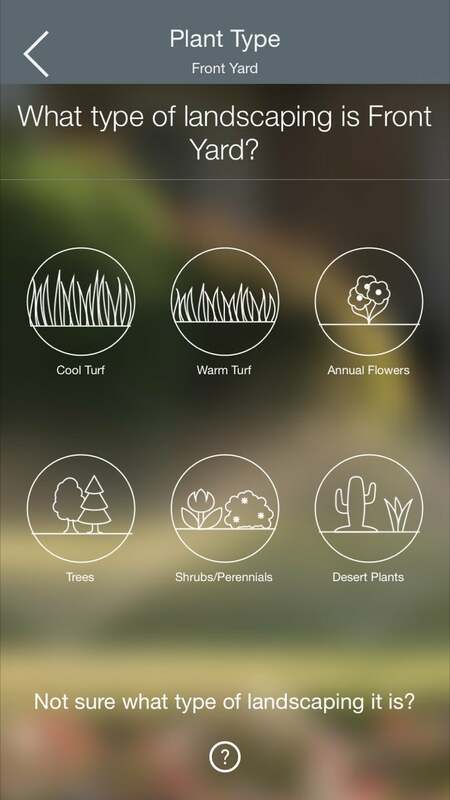 Within the app, you can set up programs manually, or use B-hyve’s Smart Watering system to automate the watering plan. This works almost identically to Rachio’s: You supply data about the type of soil, type of plants, amount of sun, and so on, and B-hyve spits out a watering plan for you to follow. B-hyve will also automatically skip watering if there’s rain, based on your zip code. Attaching leads is simple, but make sure you don’t lose the tiny, included screwdriver! After plugging in my data, I got the recommendation for my test zone: Four watering sessions of 12 minutes each spread out over several hours, three times per week. As with Rachio, this felt like much too much water (though less than Rachio’s recommendation), but unlike Rachio, there’s no way to manually change the Smart Watering schedule within the B-hyve app. It’s either on and left to its own intelligence, or off and you set up a schedule on your own. I ended up doing the latter, whereas with Rachio, I simply tweaked the recommendation and left the rest of the smart watering program—which increases or decreases water delivery based on ambient weather—intact. The good news is that, while it’s a bit less user friendly than Rachio’s app, the B-hyve app is reasonably simple to use once you get the hang of it. In addition to run time and start time, you can set water to run on weekdays only, on even or odd days of the month, or at an interval you set (in my case, every other day). A calendar shows which days water is set to run, and, while it’s buried in the settings menu, a history system gives you a complete accounting of recent runs. The B-hyve app walks you through a wizard to determine the best watering settings. The app also provides push notifications when watering finishes or if there are any delays or errors. Oddly, it does not send a notification when watering starts, which is more informative, because at that point you have a chance to stop the water if you’ve made a mistake. An Alexa skill is available that lets you send voice commands to the B-hyve; other than this, it doesn’t have any added smart home integrations. As noted earlier, you can change your watering schedule via the manual controls on the box itself, but this is far from intuitive to the point where I found myself inadvertently messing up the schedule I’d set whenever I tried to interact with it. Changes made on the box are reflected in the app, and vice versa, so while mistakes are easy to make on the box, they’re easy enough to fix in the app. Using the box interface works well enough if, say, you want to manually water a zone for a few extra minutes, but I wouldn’t dream of using it to try to create an ongoing program. That is, of course, the entire point of having the app. Fortunately, you can ignore the box interface completely if you want to. 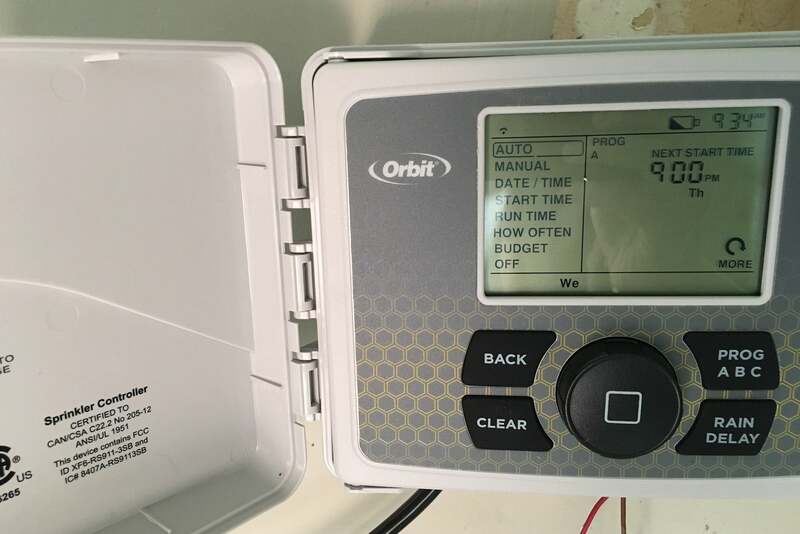 The bottom line: This unit isn’t dramatically more expensive than a “dumb” sprinkler controller, and while the app isn’t perfect, it’s got enough going for it to recommend, particularly for outdoor mountings.